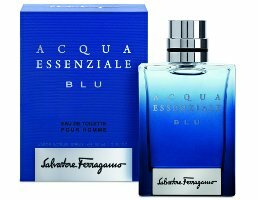 Salvatore Ferragamo will launch Acqua Essenziale Blu, a new flanker to 2013's Acqua Essenziale fragrance for men, later this month. Acqua Essenziale Blu will be fronted by model Garrett Neff. Notes for the water-inspired fragrance include cardamom, grapefruit, bergamot, lavender, tonka bean, patchouli, Atlas cedar, benzoin and ambrox. Salvatore Ferragamo Acqua Essenziale Blu will be available in 50 and 100 ml Eau de Toilette.